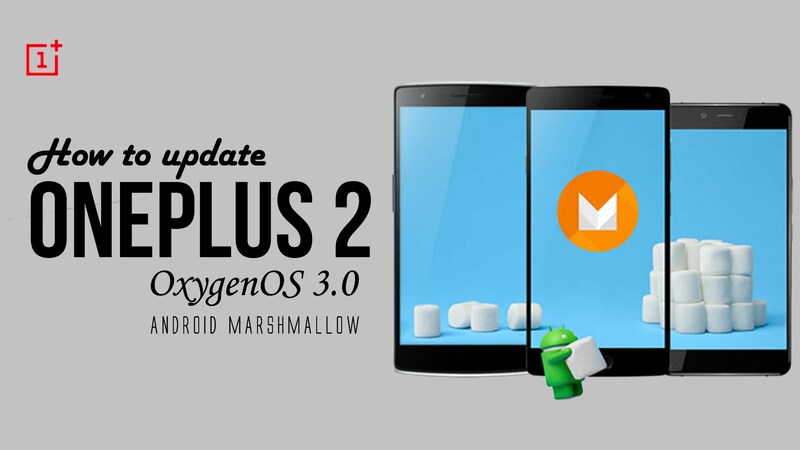 OnePlus 2 users had a long wait and it’s time to enjoy the Marshmallow treat. After 2 community (beta) builds, OnePlus has started the rollout of official (non-beta) OxygenOS 3.0.2 builds to OnePlus 2 users in the wild. The update packs Android Marshmallow (6.0.1) and some much-needed system performance improvements.The update will be released in a phased manner and it may take up to 48 hours for users to start receiving it globally. However if you’re the one who can’t wait, download the appropriate version from the links provided below and follow the instructions. If you’ve disabled Google services on your current device, please re-enable before upgrading via OTA. If Google services is disabled, you may experience system boot issues after installation. If you can’t wait for the OTA update to hit your device or you’re unable to install it for some reason, you can consider installing the update manually. Follow these steps only if you’re on stock ROM and unrooted. Rooted users look elsewhere for instructions. If you have encryption enabled, please flash the update package using ADB sideload. Download the update package appropriate for your current OxygenOS version. Check your current version in Settings> About phone. Or you can decide to download the full 3.0.2 stable ROM from here. Copy the downloaded zip file to the storage of your OnePlus 2. Boot into recovery mode – Shut down the device and then press and hold power & volume down buttons together. Select Install from Local and choose the update package. Wait for installation to finish. Depending on your current OOS version, installation may take up to 10 minutes. Facing issues? Let us try to help you by replying the comments below. Successfully updated? Tell us about your upgrade and initial marshmallow experience.